This review is about item#34753503. I am very happy if I think about the price. It can be used normally just like expensive tools. I do not know the durability yet. Every time a wrench storage nail is broken and it opens it will blow. There is no problem with the wrench. Quality that doubts whether it is really brand new. Plating is thin or there is rust. The case fits well. Impression that package was deviated staple hole and opened once. Products made for China produced in China. Just because the quality finish is bad, I can work on the wrench properly. The charm of the price is very big. I have not used it yet, but I should be able to tell if it is made in Korea. Payment to the case of the wrench is also loose and fixing is not going well. All the displays are also Hangul and unkind. There is a hexagon of inches in the neighborhood home center, but the ball point is not in stock. A ball point is necessary for work in a narrow place. Although it is not used frequently, it is something to put in a tool box. It was cheap and it was nice. I have been looking for a lot of ball points, but I bought it cheaply. There was no problem with usability. Is it OK if one more size wrench is set? This price is cheap with a set of ball points, the strength is slightly lower compared to the price high, but I think that other than the small size can be used normally, but in my use 7/64 · It is regrettable that the medium sizes such as 9/64 are used frequently and their sizes are not aligned. You can naturally be used even at this price. 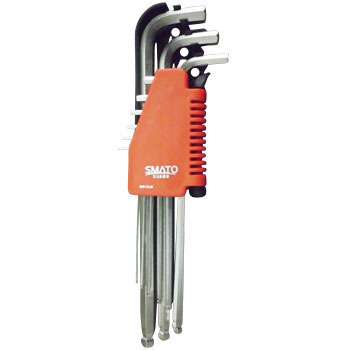 Hexagon wrench wrench (Millian domestic car · Inch type foreign car) Although it is used less frequently, it is satisfied.